With 30 years of experience and extensive training in the field of spirituality, depth psychology, healing trauma and holistic therapies, I work with each person differently, depending on what is needed and what is the most healthy way. I unite non-dual wisdom and holistic psychology to support people to be able to live present, connected and wholehearted in the world. My work is based on mindfulness, direct experience, respect and loving presence. Private and confidential sessions are available in person, via phone or video conferencing online in english or german language. 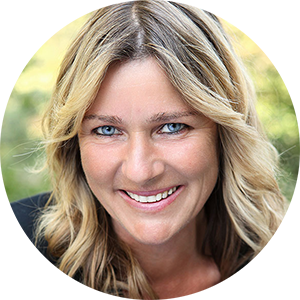 Please contact Nicola Amadora to request Session at: present@nicolaamadora.com.For Dr. Nicola Amadora’s credentials please visit the Bio page. For more information about Hakomi go to www.Hakomi.org. As a certified equine assisted learning and therapy instructor I bring horses into my work upon request. * Holistic Parenting: Facing issues? Do you need skills, knowledge and support? Special fees for single parents available. * Conscious Leadership and Mental Health Professionals Consultancy: cost varies, please inquire. “My life before Nicola was all in my head, and I was playing a game of survival with a heavy dependence on antidepressants. It was such a heavy cost, living life like that. My body was screaming for help, and I knew I was getting to a point that I could no longer raise my two little children. And that’s when Nicola came into my life, like a savior. She lovingly saw through me, and held me in a light to transform. I’ve been living without antidepressants for two years now, my body is healthy and strong, and my family is thriving. When I occasionally trip into old patterns, I don’t linger. I have the tools and the support, I feel empowered. And I am never alone. Nicola’s nurturing voice is in my head, and my heart is resting gently in her hands. I am free, strong, loved and I am forever grateful.” ~ Amber Payet, Santa Cruz, Mother of two children. My granddaughter Alex is 11 years old. Last year her schoolmate friend died suddenly and Alex began having problems. She was daily consumed by intense fear. Her parents were frantic because Alex couldn’t sleep, had panic attacks daily, sleep walked every night, upset the whole family with her screaming and crying. They didn’t know what to do to help her. After her first visit with her therapist Nicola Amadora, Alex was able to sleep at night and stopped sleepwalking. Her panic attacks stopped entirely. Alex feared fire, had near constant visions of her house catching fire and her being trapped. After two sessions with Nicola, instead of panicking, Alex began to check whether there was any real danger when she saw smoke or a match being lit. She is able to face fire and evaluate any possible danger and she lost her intense fear of death. Alex was never the cuddly type, but after working with Nicola, she is softer, allows herself to be hugged and touched to feel safe and grounded, and is kinder at home. Her parents are amazed and delighted by the changes they see in her. After only 4 sessions, Alex is more confident, far less fearful, and happy. She wrote to Nicola: “You will never understand how much you have helped me, so so much. Thank you”. Nicola’s incredible ability to heal my granddaughter is nothing short of magic!~ Nancy Cassel, teacher and grandmother. “What Grace you have entered my life. My gratitude is boundless for the myriad of ways you show up…for your own bravery, courage and wisdom that has morphed into this beacon of love and light that you are.